Photography is my passion! That is why at the age of 50 I went back to college to study pure photography (traditional style with film and enlargers etc.) at Photography Studies College, Melbourne (PSC). 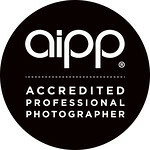 Upon graduation with an advanced diploma of photography with distinction (commercial major) I was able to become a fully accredited member of the Australian Institute of Professional Photography (AIPP) since 2007 . As a Professional Photographer, my skillset is complemented by using the latest in photographic equipment and software. I provide a wide range of Professional Photography services, Including; Architecture, Real Estate, Commercial & Product Shots, Portraiture & Family Portraits, Model Portfolios, Fashion & Events. I also offer a comprehensive Photo Restoration service.